Oldtimer picture gallery. Cars. Darmont. M.Darmont, Rue Jules-Ferry 27 at Courbevois (Seine) (near Paris), France. 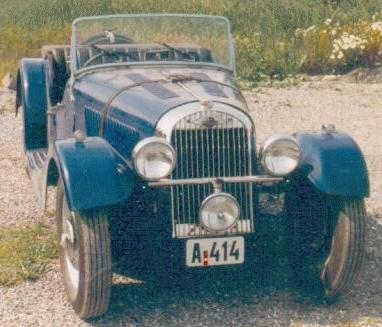 Initially Darmont was French built Morgan, but gradually own models appeared. Morgan Three Wheeler by Gerhard Kiessling, Germany (with is Darmont division). Last updated 16 I 2000.